Note: This review originally appeared in the Illinois Entertainer. By the way, the April issue of I.E. is now out, with Bruce Pilato’s cover story on Carlos Santana; an extensive list of year’s offerings at Record Store Day; my review of the new King Of Prussia CD; and my International Pop Overthrow - Chicago preview. The 21st Chicago Underground Film Festival starts today at The Logan Theatre on Milwaukee Avenue and runs through Sunday, April 6th. 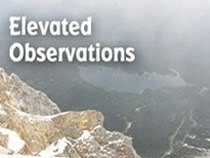 For the full schedule of events and special parties, check out the Chicago Underground Film Festival website. WXRT is holding its annual XRT/Coors Light Opening Day Live Broadcast this Friday at YakZie’s on Clark Street, within the ominous shadows of Wrigley Field. Morning DJ Lin Brehmer and news anchor Mary Dixon will serve as hosts, with live performances by Los Lobos, Sonny Landreth, and Tributosaurus. At 10:00AM, mid-morning DJ Terri Hemmert takes over the bash, which will also include guests Billy Corgan from Smashing Pumpkins, comedian/sitcom star Jeff Garlin, and XRT’s own movie critic The Regular Guy. Although the Midwest is well-known as a hotbed of power pop music, for some people that translates to Chicago and its impressive history of bands like Shoes or Cheap Trick. 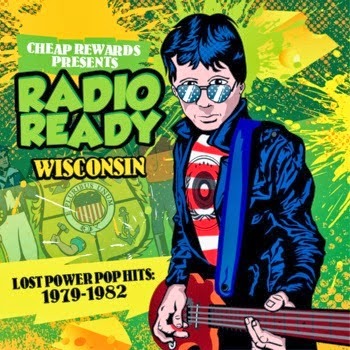 On Radio Ready: Wisconsin - Lost Power Pop Hits 1979 - 1982, indie label Cheap Rewards aims to give the Dairy State its due, and succeeds very nicely. Being a power pop compilation, most of these high-energy tracks deal with romantic relationships, but there’s a good variety of approaches within the genre. “Don’t Run Away” by The Baxters was obviously influenced by The Raspberries, but The Pop travel back to the days of Gerry & The Pacemakers for the wistful “Wait A Minute.” Garage rock is well represented on this compilation by The Orbits’ “The Waiting Game” and “Lies” by The Dominoes. The Minors straddle the fence between punk and pop with “Another Stupid Love Song,” and Muscle Beach channels The Ramones while slamming the far right in its revved up political satire “Let’s Get Dumb.” Most of the bands on Radio Ready are probably long gone, but it’s interesting to hear Spooner’s “You’re The Lucky One,” knowing that its core members would go on to form Garbage with English vocalist Shirley Manson.